An easy 5 minute walk from Picton town centre, including various local attractions, restaurants, bars and ferry terminal. Stunning views of the harbour, township and surrounding area. Sunny and north facing with surrounding balcony, this newly renovated, tidy and private accommodation has all you need for a relaxing holiday in the Marlborough region. No extra cost for cleaning or linen. On street parking. Steep but short driveway access to property, 1 flight of stairs. Smoking outside only. Make sure place is left clean an rubbish is removed. Perfect view over Picton, very tidy and nice place to stay. AND: Very helpful and friendly hosts! Excellent accommodation. 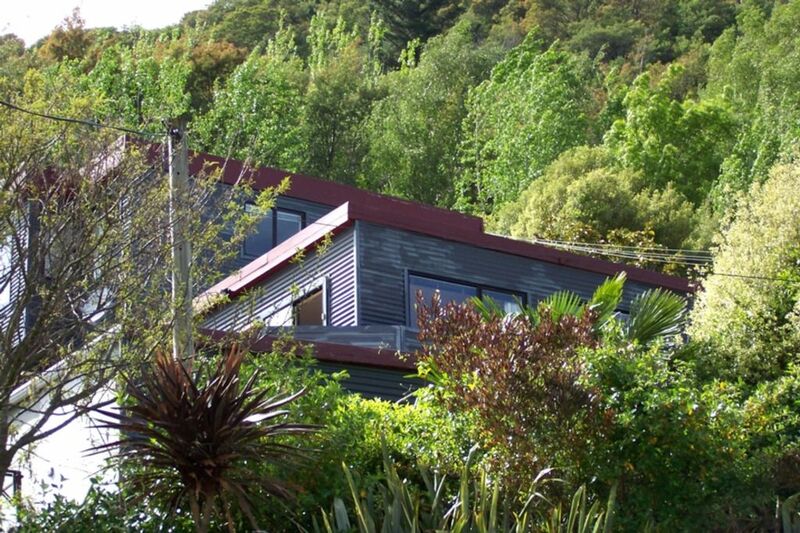 Warm and welcoming, easy walk to town, easy drive to Queen Charlotte track, beautiful views and comfortable! Thanks for the lovely stay. Nice to be back in this bach with views of Picton below. Very tidy and clean. Terrific host. Thank you Karen. We thoroughly enjoyed our stay at the Wellington. Definitely would stay again and would recommend it to anyone. We really appreciated the little things, the cleanliness and some cold beers in the fridge for us. Thank you again. John and Allison. What lovely guest an would have them stay again . Clean, modern house with a great bathroom! Our host had cookies, milk, and beer waiting for us - great hospitality! We didn't end up getting to stay too long during our road trip, but the proximity (5 mins) to the Interislander ferry port between Picton and Wellington was fantastic. Even though we had to wake up early, we had a beautiful morning view of the harbor and the boats from our porch. Highly recommended! Great value place, short walk from the town, perfect for 1 or 2 nights staying in Picton. They were very responsive, place was perfectly clean.